Twenty-seven choirs from the dioceses of Dublin and Meath to perform this Saturday. This Saturday, a unique venture, which has been eight weeks in the making, will see choirs from over 27 parishes in the dioceses of Dublin and Meath come together to perform Handel’s Messiah. Project Messiah Choir is bringing together professional singers and musicians as well as amateur parish choir members for a one-off performance in Dublin. The choirs will sing the renowned religious oratorio at Our Lady of Good Counsel Church, Moyne Road in Dublin’s Drimnagh on Saturday 23 November, 2013 at 8pm. The project is the brainchild of Blanaid Murphy, who is the director of the Palestrina Choir. It has attracted over 100 random singers of all ages and walks of life and they are joined by soloists of the calibre of Lynda Lee, Alison Browner, Andrew Gavin and Nathan Morrison as well as the St Cecelia Orchestra. 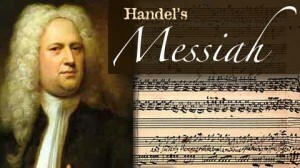 The Messiah has a special place in the hearts of Dubliners as it was first performed here in 1742. In some respects is considered the Dublin Oratorio. “They have braved dark, wet and windy Thursdays but it is their willingness to take a risk which is most commendable”, she said.